Here's the latest product review opportunity for you, my fellow GolfSpies. This week we're featuring what may be the most unique product of 2017, and the biggest hit of 2017 for Cobra. 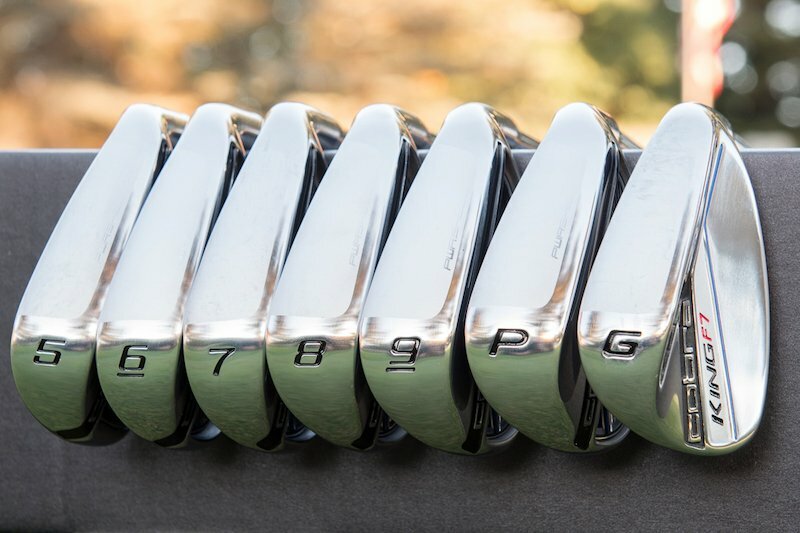 We're looking for two testers, one to test and review the Bryson DeChambeau-inspired F7 One-Length irons, and the other to test and review the traditional variable length F7 irons. Does one-length really work? And how do the variable length irons stack up against the rest of the GI Pack? We want you to help us tell the story. We'll be announcing the 2 testers next week, so please check back. And make sure to take a look around the forums and join in the discussions. It'll only help your chances of being selected either now or at some point in the future. Now this is a opportunity that peaks my interest beyond belief. I am totally onboard with the one length perception and would love to be a part of this testing. Awesome opportunity and been hearing a lot of chatter about these! Maybe I'll get lucky! I've been eyeing the One Length since the release. Would love to test these. Good luck everyone! Don't just sign up for this. There is something for everyone here! Take your shoes off... (well that depends) and stay a while. This place has a lot to offer! Wow! MGS is knocking it out of the park with all these great club demo opportunities! Home State/Province Tilburg, The Netherlands. Current Iron Set Taylormade Burner 3.0. Please read this one carefully gang, as it's a BIGGIE!!! And it's more than just a club review - it's a season long experiment in golf improvement. Welcome to MyGolfSpy's 2nd annual Cobra Connect Challenge - and we're making it bigger and better than ever. 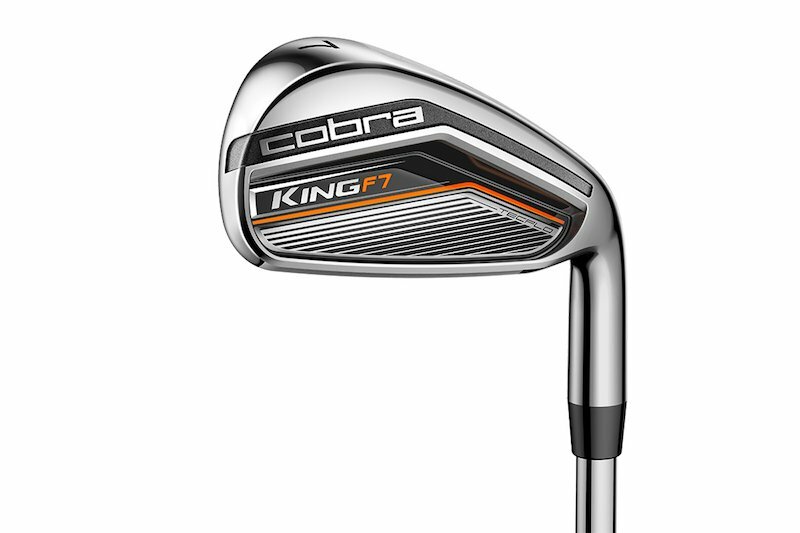 We're looking for FIVE of you to spend the rest of the golf season with a full bag - yes, a full bag - of Cobra's KING F8 gear equipped with the ARCCOS-powered Cobra Connect System. We'll outfit you with a complete set of Cobra F8's, from driver, fairway and hybrids to irons and wedges - all customized to your specs - as well as MyGolfSpy's newly crowned Most Wanted Stand Bag, the Cobra Ultralight. Your job? Spend the season with your Cobra gear and use the Cobra Connect system to analyze your game, focus your practice and see how much you can improve. Our 5 testers will spend the season competing against each other for some great prizes provided by Cobra-Puma, and all you have to do is what you'd do anyway - play golf and work to shoot lower scores. To start, Cobra will send you a full ARCCOS 360 set for use with your current gamers. You'll spend a month setting a performance baseline, and once you get your new Cobra gear, you'll spend the rest of the year playing, tracking your data and discussing your journey here in the MyGolfSpy Forum and on Social Media. This is gonna be, as they say, a hoot! 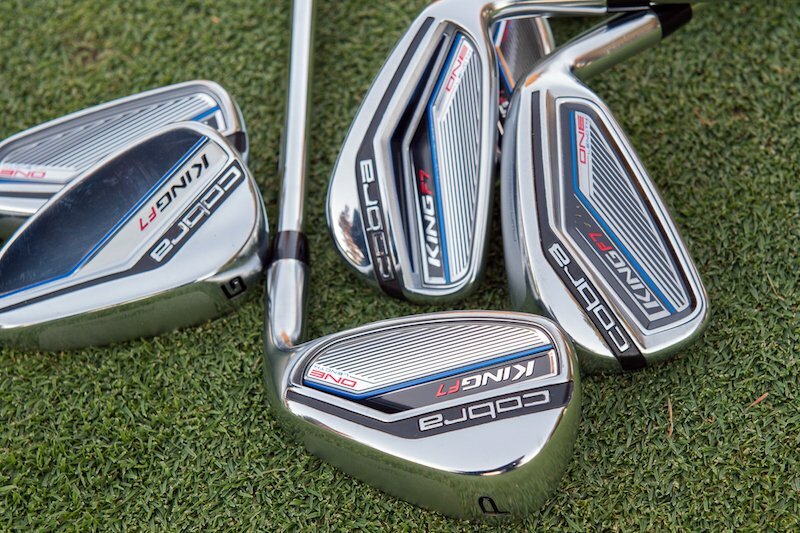 Again, the commitment on your part is to game your new Cobra gear for the remainder of the season and share your journey both here in the MyGolfSpy Forum and on Social Media. Good luck to all, and we'll be announcing our 5 testers right here next week! You all will be receiving a PM very shortly with the next step! We are confident you're going to knock this challenge out of the park, and we can't wait to follow along with your progress. 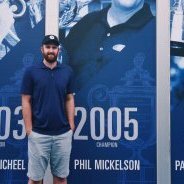 This is the official thread for our first ever MyGolfspy/Cobra Connect Driver Challenge! We have two teams who will spend the next month using their new Cobra F7 drivers equipped with Cobra Connect - an Arccos-driven driver shot tracking and stat-keeping sensor and app. â€‹The teams will be competing for individual weekly prizes as well as an overall Team prize. One contestant - the one who truly knocks it out of the park - will win a complete Cobra-PUMA makeover, including new clothes and shoes from PUMA as well as a full bag of custom-fit Cobra equipment. And so let's meet our two groups -- Team Rickie and Team Lexi! The competition officially starts this Friday. Each Thursday the contestants will post their stats and we'll announce the weekly winner on Friday - the weekly winner will earn some slick PUMA apparel. Now here's where it gets interesting!!! Forum members who are not actually competing can win a weekly prize courtesy of Cobra-PUMA as well by participating in the thread - comment, trash talk, questions and general good humor will serve you well. Each contestant will kick off with a post letting you know a little about them, their game and what they're looking for from their new driver - sorta like the Miss America Pageant but with golfers. Cobra F7 & F7+ Drivers! Everyone likes to test drivers, right? And throw a little competition into the mix? And prizes, including a boffo Grand Prize? That beats a weekend in Vegas all day, every day and twice on Sundays! We're looking for 8 of you to test and keep a custom-built (to your specs!) Cobra F7 or F7+ driver - but that's not the fun part. 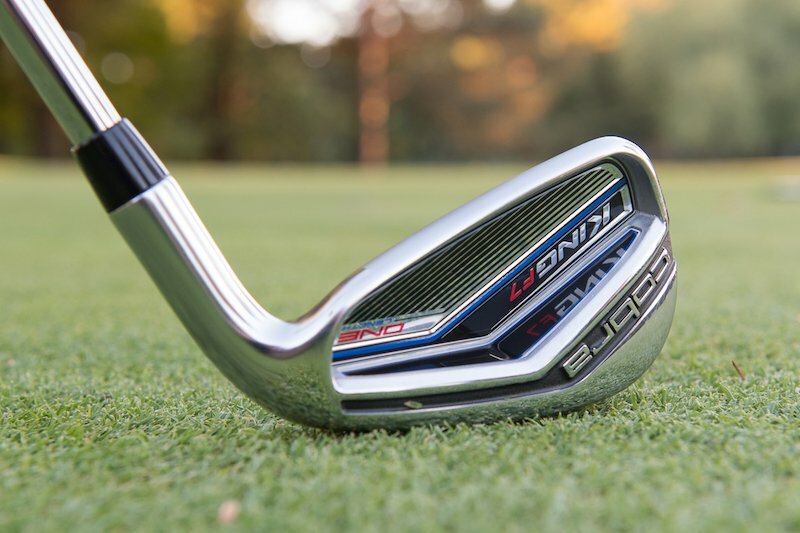 The Chosen 8 will take part in a month-and-a-half long competition using the unique Cobra Connect - the unique Arccos-fueled stat tracker built into the grip of every Cobra driver. You'll be competing in teams and against each other in areas such as Driving Handicap, Smart Distance, Driving Accuracy, Fairways Hit, Longest Drive and Most Improvement. You'll need have some social media skills, too - as prizes will be awarded based on Twitter, Instagram and Facebook interaction, as well. That'll include apparel, shoes and a full bag of custom Cobra equipment - we're talking irons, wedges, hybrids and FW's (it won't include driver because, duh, you'll already have one. And it won't include putter, 'cause Cobra doesn't make one!). As we said, this one's a biggie, so PLEASE follow these instructions to the letter. We'll announce the testers in this thread early next week. Good luck!!! As we approach Memorial Day, we can't help but think of the brave men and women who sacrifice in service to our country. In support of these courageous men and women, PUMA Golf has partnered with Volition America to launch theVolition America Golf Collection, giving golf enthusiasts the opportunity to Wear the Colors of Freedom and support the Folds of Honor Foundation. This year, as the Folds of Honor Foundation, a non-profit dedicated to assisting the families of America's fallen and disabled service-members, is celebrating its 10th anniversary, PUMA Golf is proud to support their efforts and help honor that decade of commitment. The Volition America Golf Collection, a patriotic ensemble of products, marries the best of PUMA Golf's cutting-edge apparel and footwear technologies and styles with Volition America's focus on patriotism and all things, red, white and blue. A portion of proceeds from the sales of this Golf Collection will be donated to Folds of Honor to fund educational scholarships for families of fallen and critically-injured military men and women. Drop one of the Volition America Collection launches at retail and on our website on May 15th and features men's women's and children's apparel, accessories and footwear that are perfect for showcasing your national pride on and off the course.